A WORD WITH DR JOHNSON, James Runcie, directed by Marilyn Imrie, Oran Mor and Traverse, 2015. "..his wife, Tetty, played by Gerda Stevenson with such grace and poignancy that it’s hard to believe that within a couple of minutes, she’s once again back in breeches and tam o’shanter, playing Dr Johnson’s favourite Scotch assistant, Mr Sheils." The Scotsman. GRIT - THE MARTYN BENNETT STORY, by Kieran Hurley, directed by Cora Bissett, Tramway and Mull Theatre, 2014. "...supported beautifully by Gerda Stevenson, in fine voice in Gaelic song as Bennett’s mother, Margaret (among other roles). : The Telegraph. "...his invincibly vain and silly wife Anna, superbly played by Gerda Stevenson." Joyce McMillan, The Scotsman, 2011. "...knockout performance from Gerda Stevenson." Michael Coveney, What's on Stage. "...many splendid solos, the most memorable by Gerda Stevenson." The Skinny. "...with Gerda Stevenson giving particularly fine voice to Jon Beales’ arrangements of the Bard’s ballads and sangs." The List. NOVA SCOTIA, by John Byrne, Traverse, Spring, 2008. 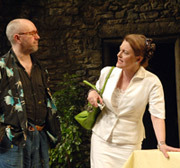 “Gerda Stevenson provides a particularly sharp performance as Lucille.”Thom Dibdin,The Stage, 1st May, 2008. “Morrow's resentful Phil, Mulgrew's comically self-obsessed Spanky and Stevenson's long-suffering Lucille, all from the original Slab Boys line-up, sparkle.”Lynne Walker, The Independent, 2nd May, 2008. “Excellently portrayed by Morrow, Mulgrew and Stevenson, they refuse to behave as if the world has passed them by -- still lusty, witty and ambitious.” Mark Fisher, Variety, 6th May, 2008. “There’s the odd laugh here and there – most of them courtesy of Gerda Stevenson’s deadpan Lucille .” Shona Craven, Onstage Scotland, May 2008. “Stevenson captures a host of raunchy undertones that are deftly balanced in equal measure to the maternal ‘Weegie wifey’ as she runs around after Spanky as if he were a two year old.” Mhairi MacLeod, itsonitsgonecom, 30th April, 2008. 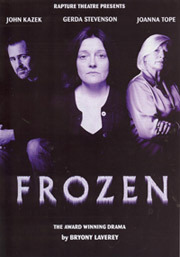 FROZEN, by Bryony Lavery, Rapture Theatre, Autumn, 2006. “Magnificently played by Gerda Stevenson, Nancy is a woman wholly exposed to the audience from the start. Stevenson as the mother and John Kazek as the killer both give disturbingly brave and powerful performances, and the impact is both overwhelming, and, in the end, strangely life-enhancing.” Joyce McMillan, The Scotsman, November, 2006. “It’s Gerda Stevenson’s Nancy who grabs the emotional reins. Ageing beautifully through several costumes and 20 years, she’s ordinary and decent. But the ordinary becomes extraordinary when shaped by intense pressure. Conversationally informal or blazing with the force of a tragic protagonist, Stevenson is the heart of this intricate, yet clear, drama...a not-to-be-missed tour.” ReviewsGate, October, 2006. Gerda Stevenson as Nancy captures the horrific contradictions in knowing the worst but also attempting, on the surface, to live a normal life. Trapped with her pain, she desperately wants to "feel better or even different."... it's the performances which remain in the memory: the three damaged people are perfectly portrayed. Stevenson in particular goes through the wringer, but emerges with some semblance of hope. "Actually," she says, "nothing is unbearable"..” Stephen Gray, Edinburgh Evening News, 6th November, 2006. “Gerda Stevenson gives an electric performance as Phaedra, a dark, passionate, tormented figure, doomed by the Gods to love her stepson.” Hugh Rorrison, Plays International, June 2000. “Gerda Stevenson is nothing short of superb, soaring, grovelling, girlish, and haggard, terrifying and deeply moving in the grip of her terrible fate.” Joyce McMillan, The Scotsman, April 2000. “...intensely charged, but convincingly modulated performances from the cast, especially Gerda Stevenson as Phaedra, whose inner turmoil over her forbidden, but all-consuming passion for her stepson, roller-coasting from suicidal guilt to desperate hope to jealous fury and back, she communicates with agonising vividness.” Sue Wilson, The Independent, April, 2000. THE THRIE ESTAITES (Dame Sensuality and Jane The Common-Weill), adapted by Alan Spence, directed by John Carnegie, 2000 & 3 Estaites, site-specific performance. “Gerda Stevenson, as Dame Sensuality, turns a car park into her boudoir, with a smouldering performance.” Keith Bruce, The Herald, July 2000. Sue Wilson, The Independent, July 2000. “Gerda Stevenson was both seductive as Sensuality, and compelling as Jane the Common-Weill, protesting passionately against the neglect of the poor.” Paul Scott, The Scotsman, July 2000. A PLACE WITH THE PIGS (Praskovya), by Athol Fugard, directed by Kenneth Glenaan, Communicado Theatre Company, 1995. W. Gordon Smith, The Independent On Sunday, 1995. “Jim Broadbent and Linda Basset played A Place With The Pigs at the National in 1988; Mulgrew, as the deserter Pavel, and Gerda Stevenson as his absurdly loyal consort, reinvent the play’s impact entirely. I’ve never thought that Fugard wrote a great play after ‘Sizwe Banzi Is Dead’, but now I’m having second thoughts. The Observer, 1995. 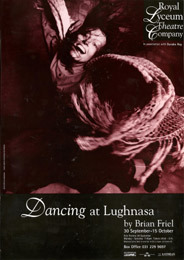 DANCING AT LUGHNASA (Maggie), by Brian Friel, directed by Kenny Ireland, Royal Lyceum Theatre, 1994. Joyce McMillan, Scotland On Sunday, 1994. “Gerda Stevenson is outstanding as the spirited Maggie.” Mark Fisher, The Guardian, 1994. AND THE COW JUMPED OVER THE MOON (Andrea), by Donna Franceschild, directed by Ian Brown, Traverse Theatre. Joyce McMillan, The Guardian, November 1990. Julie Morrice, The Glasgow Herald, November 1990. ON THE VERGE (Alexandra), by Eric Overmeyer, directed by Anna Furse, Birmingham Rep and Lillian Baylis Theatre, London, 19989. “ Immaculately played here by Paola Dionisotti, Juliet Stevenson and Gerda Stevenson, they tumble through a time warp from the terra incognita of an Antipodean 1888, into a nightmare vision of middle America in 1955.” Robin Thornber, The Guardian, April 1989. Harry Eyres, The Times, April 1989. OTHELLO (Desdemona), by William Shakespeare, directed by Ian Wooldridge, Royal Lyceum Theatre, 1989. “The emotional heart of the production lies in the sterling performance of Gerda Stevenson as Othello’s put-upon wife, Desdemona. Stevenson’s delivery is lively, clear and natural as she takes us with her to suffer Othello’s inexplicable wrath, which leaves her sitting on the stage crumpled and distressed, lost, vulnerable and confused.” Mark Fisher, The List, 1989. “Gerda Stevenson plays Desdemona as if she were a child bride, besotted by her lord and master, galvanised by the very sight of him. Her flirtations with Cassio are playfully naïve, her innocence transparent.” W. Gordon Smith, The Observer. 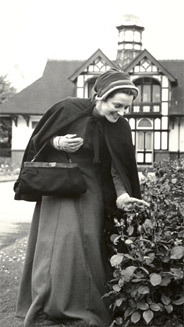 ANNA CAMPBELL (title role), By Norman Malcolm MacDonald, directed by Gerry Mulgrew, Traverse Theatre, 1988. 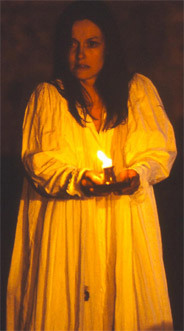 “Gerda Stevenson, one of the finest actresses on the Scottish stage, plays Anna like a thing possessed, and the moment after Alan’s death when she runs to the shore, flings herself into the sand, and then slowly, powerfully, drags herself up into a great, lingering, magnificent performance of the ballad Ailean Duinn, is one of the most thrilling moments of music theatre I have ever seen.” Joyce McMillan, The Guardian, April, 1988.